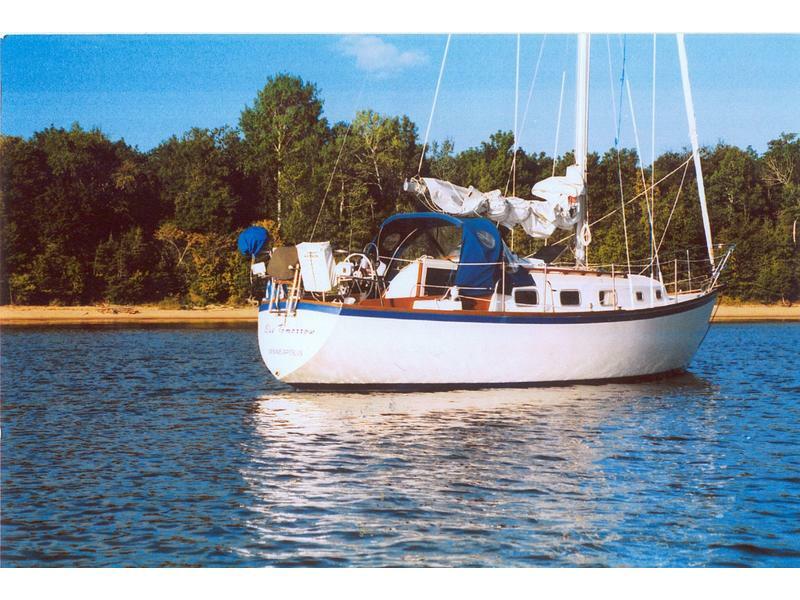 1978 Bristol Sailboat 29.9. Above average condition. Draft 4’4″. Has diesel engine, radar, autopilot, instruments (wind, speed, depth), cradle, furling jib with new jib sail, main sail in good but not superb condition, new upholstery, new bimini, has dodger, anchor, lines, stereo, VHF radio, CD player, cockpit cushions and more. The boat has always been in fresh water. No history of damage. Sails incredibly well. Located at Pikes Bay Marina in Bayfield. Thanks for looking. No brokers please. Pictures available if serious.